It is admirable that some Asheville, North Carolina-area teens want to stay on the straight-and-narrow, choosing not to poison their already confused adolescent brains with alcohol. Good on them. They’re concerned, though, that retail stores aren’t cracking down as hard as they could on underage kids trying to buy alcohol. So this past weekend, WLOS-13 reports some teens, together with the Partnership For Substance-Free Youth In Buncombe County, visited several local stores where they placed red warning stickers on alcoholic beverages like Mike’s Hard Lemonade and Redd’s Apple Ale that might not immediately resemble alcohol. This wasn’t a rogue band of straight-edge kids; the event was sanctioned by the county sheriff’s office which stated that Project AlcoPop Sticker Shock is intended “remind adults to check IDs, not sell alcohol to minors and not purchase alcohol for minors, and provide a way for youth to remind adults they are key to helping prevent underage drinking.” The stickers appear to be the same as those used by various other organizations in underage-drinking-awareness campaigns. Photos posted by Partnership For Substance Free Youth show the teens placing stickers on “alcopop” items like Natty Rush, a fruit-flavored alcoholic beverage whose cans resemble energy drinks or sodas. The term “alcopop” generally refers to a category the booze industry calls flavored malt beverages, or FMBs. FMBs—hard root beer, wine coolers, hard iced tea, etc.—are considered separate from beer because they derive a substantial portion of their alcohol content from additives. 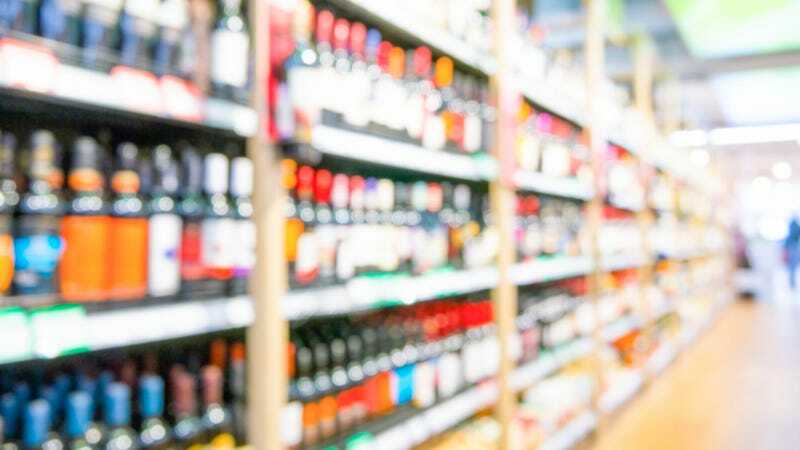 And because of their low price and fruity flavors, public health officials worry these beverages are especially appealing to underage drinkers. While this seems like an isolated event, I’d imagine that alcohol companies wouldn’t be especially stoked about having red warning labels slapped on their products. All alcoholic beverages have since 1988 been required by law to carry a Surgeon General’s warning, so the labels on FMBs and “alcopop” are already in compliance. But I imagine it puts the alcohol makers in an odd predicament; come out too strongly against what these wholesome kids are doing, and it would look like they’re deliberately marketing these booze-juices to underage teens. As such, this one-off awareness event isn’t likely to draw any comment from alcohol makers. But if it turns into a statewide or national movement, the companies might step in to politely request these kids save their stickers for their Trapper Keepers.